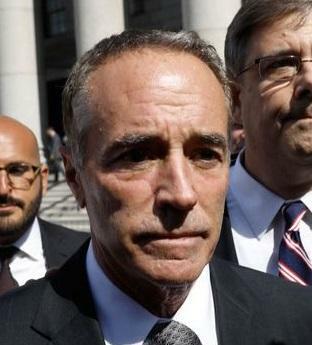 Rep Chris Collins (R. NY), arrested Wednesday on federal corruption charges, denies wrongdoing but says he won't seek re-election this November. Then, we’ll hear how the city of Chicago is dealing with last weekend’s spasm of gun violence in the city's South and West Sides, in which at least 70 people were shot and 12 victims died. Nathan talks with the Reverend Gregory Livingston, the Interim Pastor at Chicago's New Hope Baptist Church. He's a prominent faith leader who’s been active in protesting the city's daily violence -- and how city leaders have been responding to it. And we close the hour with Melody Simmons, real estate and development reporter for the Baltimore Business Journal, who joins Nathan in the studio to talk about the Journal’s new two-part series of articles spotlighting the brighter sides of Baltimore. BBJ editors say the series, called Stop Apologizing, Baltimore, is intended to accentuate the positive about a city that’s usually framed in terms of rising crime, poverty and political dysfunction. And they're hoping that readers of the series will be inspired to join a larger conversation about the future of Charm City: BBJ is hosting a public forum to discuss the series on Tuesday Aug. 28, on the second floor of 36 S. Charles St. Coffee, doughnuts and networking will be on tap starting at 8am. The discussion will be led by BBJ's editors and reporters, and include prominent local leaders and businesspeople. Audience members are invited to ask questions and share their ideas. To register for this free event, contact April House at ahouse@bizjournals.com.